Organizers will inform members of the public on the dangers of a proposed construction & demolition debris processing facility which has been proposed by a local developer using public land at the Celery Fields. A rally will be held on Thursday, May 25th at 7pm to educate concerned citizens on the dangers of allowing the rezoning and sale of public land to build a construction and demolition debris processing facility at the Celery Fields. The event, which is being organized by the Palmer East Group, will be held at St. Margaret of Scotland Episcopal Church, located at 8700 State Road 72 (Clark Road) in Sarasota. A number of information-packed presentations will cover subjects ranging from the potential impact on property values, traffic conditions, and the environment to public health issues and more. Presenters include representatives from the Sarasota Audubon Society, the local business community, and an expert on air pollution. Organizers of the event oppose a petition filed earlier this year by local developer James Gabbert, whose company, TST Ventures, LLC, has entered into a contract to purchase Celery Fields land from Sarasota County. The petition will be the subject of a public hearing on June 1, 2017 at 5pm before the Sarasota County Planning Commission. Gabbert’s development plan calls for the processing of construction and demolition debris, yard waste, and other solid materials at the site, with dozens of trucks entering and leaving the facility beginning at 7am each day, six days per week. Opponents of the plan believe that the noise from concrete crushers, wood chippers, and other machinery, as well as pollution from silica dust, diesel fumes, and toxic water runoff is incompatible with the Celery Fields Regional Stormwater Facility, a project which cost Sarasota County more than $24 million. 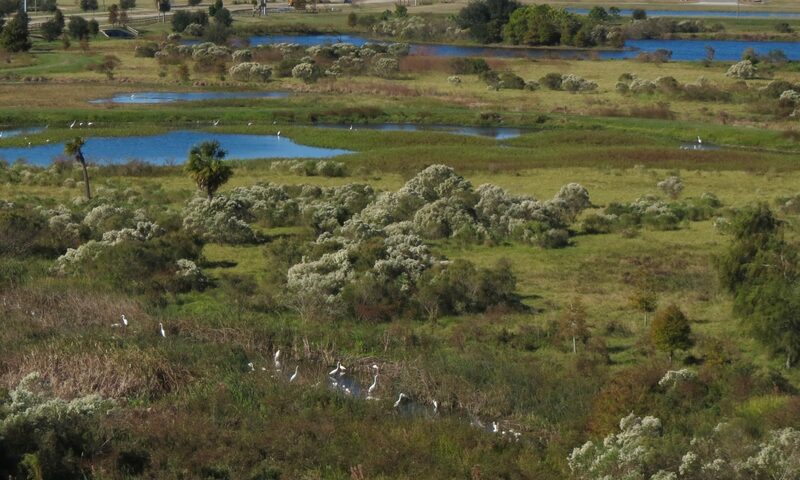 Additionally, concerned citizens believe that Gabbert’s proposal threatens the wildlife habitat of the Celery Fields recreational area, operated by Sarasota County’s Parks, Recreation and Natural Resources Department, which has become a significant eco-tourism site, drawing thousands of visitors each year from all parts of the globe as part of the Great Florida Birding Trail. The area is home to more than 240 species of birds, and is one of the County’s most popular recreation sites. The Palmer East Group has been working throughout 2017 to build public support for efforts to stop Sarasota County from selling off portions of the Celery Fields to industrial developers. An earlier petition to build a 60,000 square-foot wholesale restaurant supply facility was withdrawn by the developer after public protests drew widespread criticism of the plan. Public opposition to Mr. Gabbert’s proposal has been widespread. An online petition has more than 6,200 signatures on it, and public protests have drawn hundreds of people to the corner of Apex Road and Palmer Boulevard, where Sarasota County has offered public lands for sale to developers. The Palmer East Group is an informal collective made up of representatives from neighborhoods along Palmer Boulevard, east of I-75. The group includes nature lovers, birders, and Celery Fields enthusiasts who are concerned for the safety and well-being of their families and neighborhoods, as well as protecting the treasure that the Celery Fields area has become. More information can be found at http://CeleryFields.org.